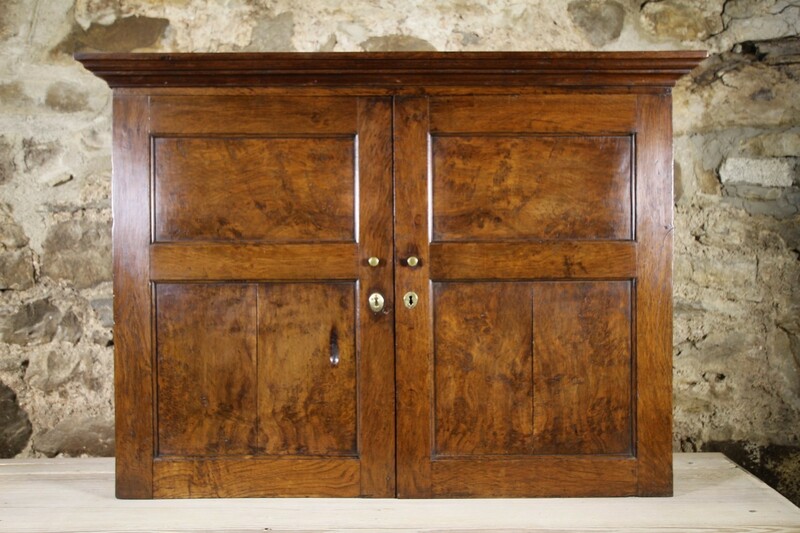 This is a fabulous, original Georgian antique wall cupboard from Wales and made in beautiful, solid burl oak that is a wonderful colour. 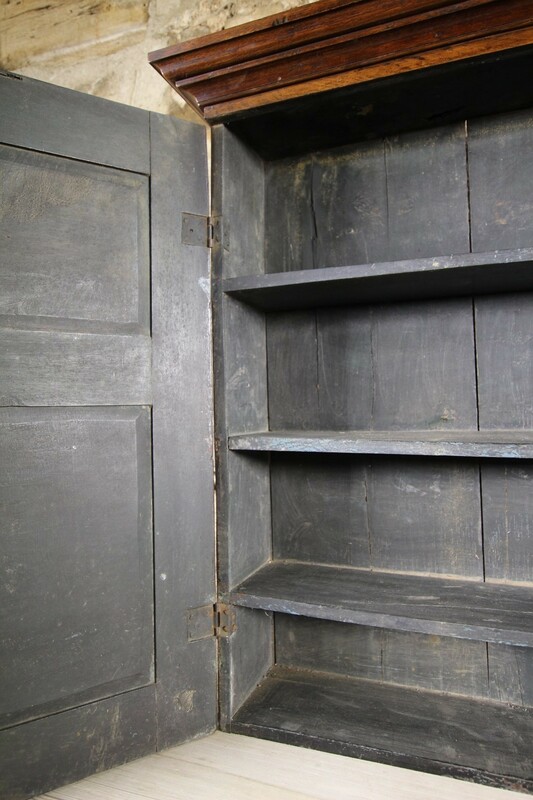 Even inside is all orignal with the Georgian blue/green paint finish. 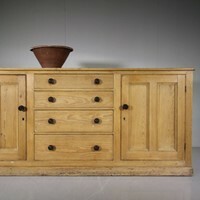 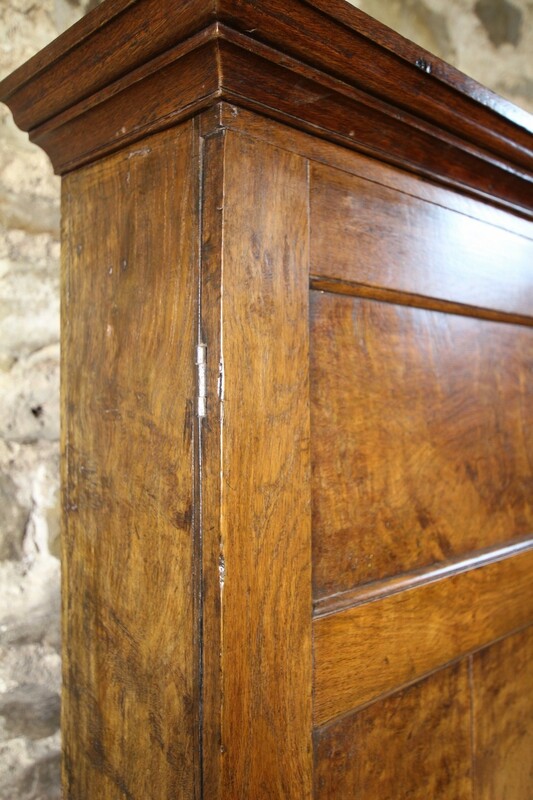 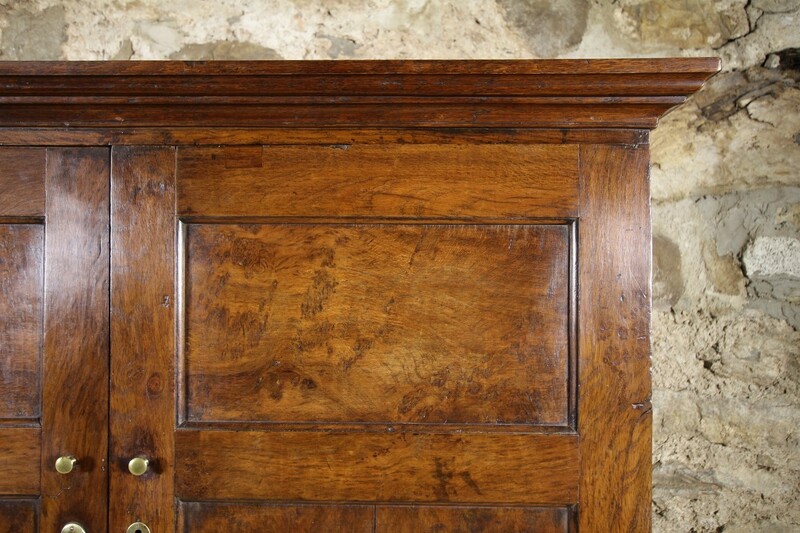 This useful period oak wall cupboard has two panelled doors and original brass handles. 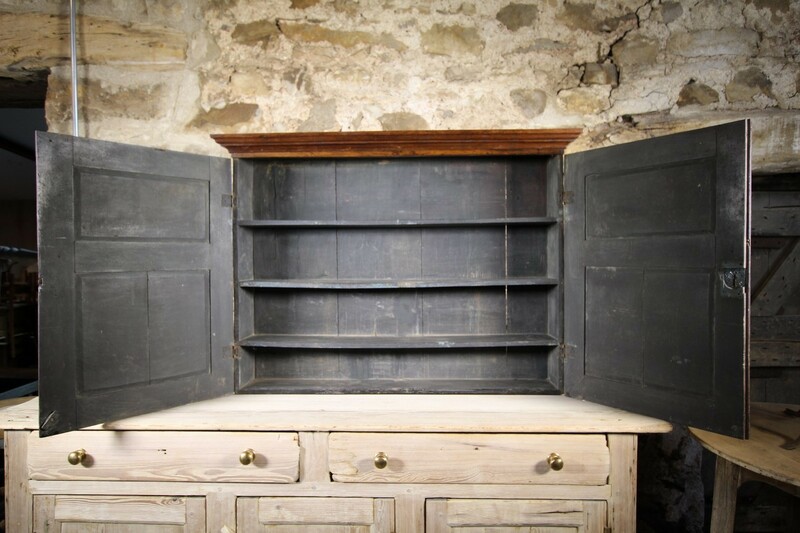 Inside is shelved. 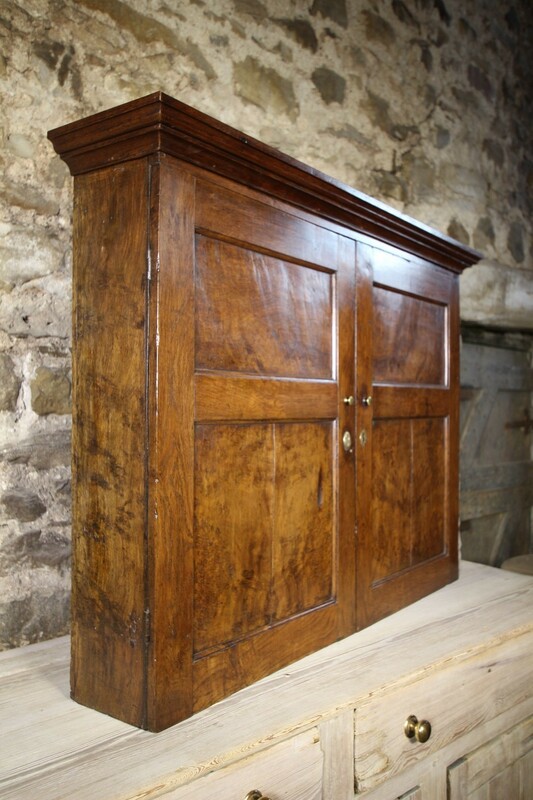 Perfect for using in a kicthen or bathroom. 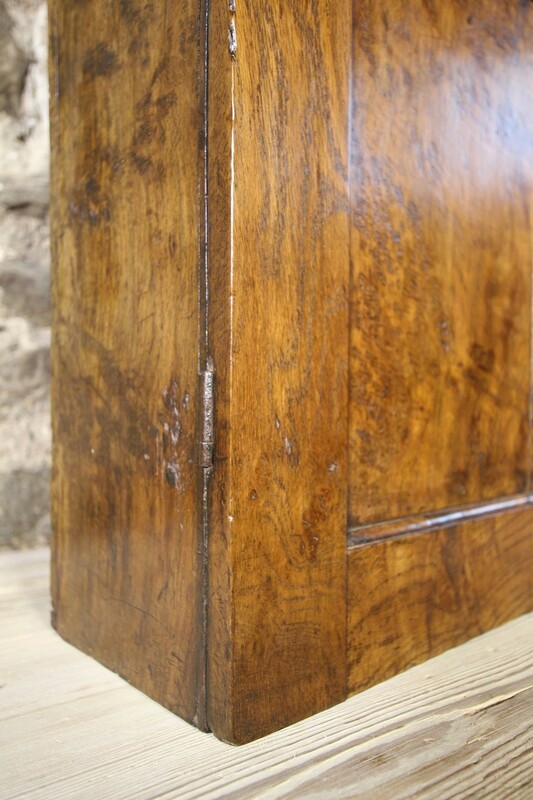 Welsh and dating from around 1780.In superb condition.